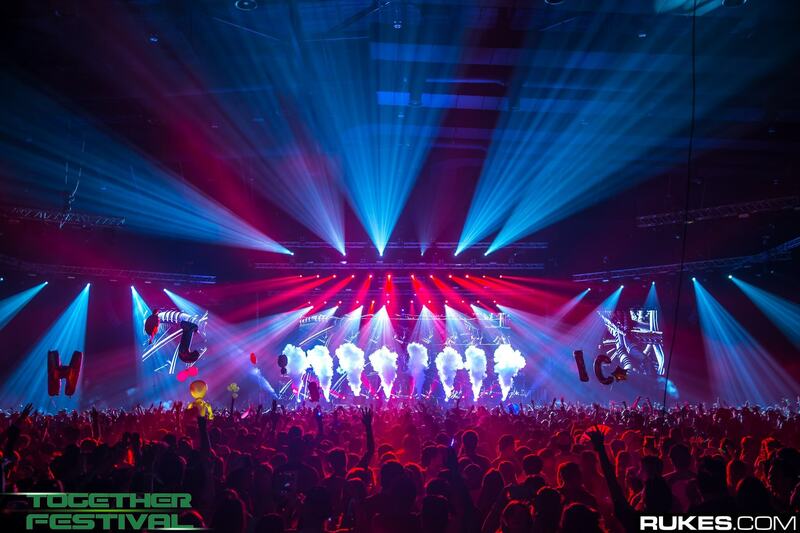 Line-ups: NINEGOD VS JUDY, SKINNY MARK VS ZUPPER L, DUBVISION, VINAI, DYRO, SANDER VAN DOORN, W&W, STEVE AOKI. After a well exhausted but amazing night from I AM HARDWELL, Together Festival has another round of pumped up music for the weekend. With amazing line-ups from the local ground to international artists such as VINAI, W&W and the one and only Steve Aoki. Door has set to be open at 5:00p.m, 2 hours earlier as the night before. The evening kick-starts with local act and moving on to the first international act such as DubVision. DubVision is a dutch electronic music duo that consist of both brothers Victor Leicher and Stephan Leicher. 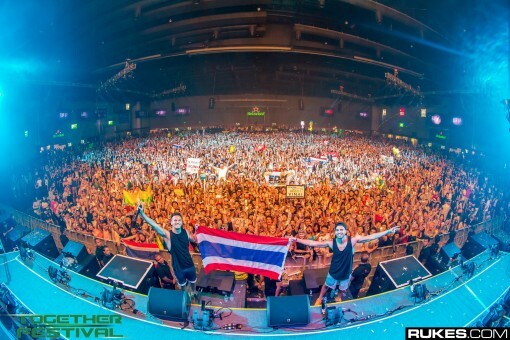 The both brothers have associated with other amazing DJs such as Sander Van Doorn and Martin Garrix. It is no wonder the boys had the crowd going insane as soon they made an appearance. 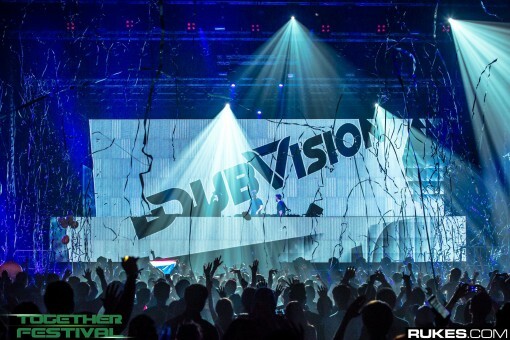 After DubVision pulled out an outstanding performance, the night went on with VINAI, the Italian brothers, DYRO, Sander Van Doorn and W&W. Last but not least, the one and only DJ that had interesting objects such as a cake being thrown out of the stage for almost every set, Steve Aoki. Steve Aoki is an American electro house musician that was born in Miami, Florida. Both parents are Japanese but he was well brought up in the states and grew up in Newport Beach, California. Steve Aoki is definitely one of the most well known DJ that has collaborated with many artists such as Kid Cudi, Iggy Azalea, Linkin Park, Lil Jon and LMFAO just to name a few. Besides his amazing and energetic set, Aoki is also well known for being the only DJ that brings around a number of cakes on tour just to throw it out to crowd. As it is one of signature moves on his set, you will definitely see a lot of people trying to get “caked” by the man himself. 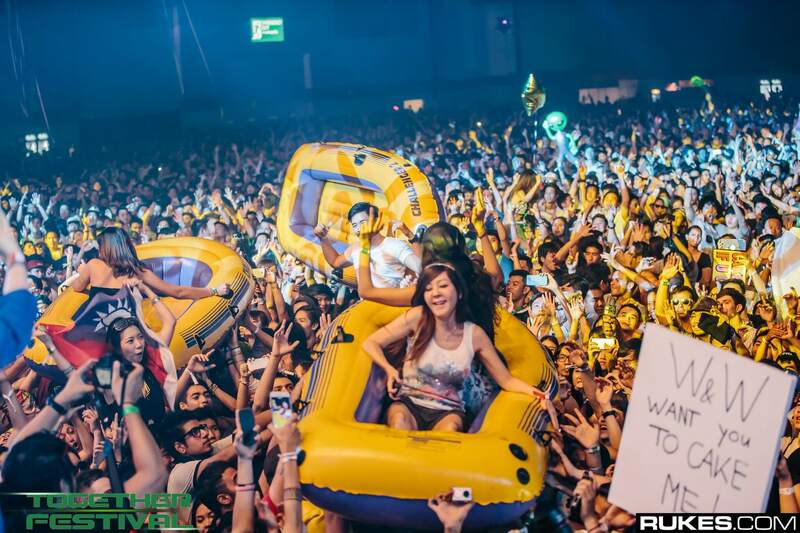 Besides having cakes thrown from the stage like a typical food fight you find in high school, Steve Aoki also threw out a few rafts to the crowd. Sometimes Aoki will throw himself on the raft. Those are probably one of the few reasons why Steve Aoki’s set is very much enjoyable. But we can’t deny that his tracks are definitely off the hook. We certainly will never get tired of the man that brought so much joy and excitement on set. 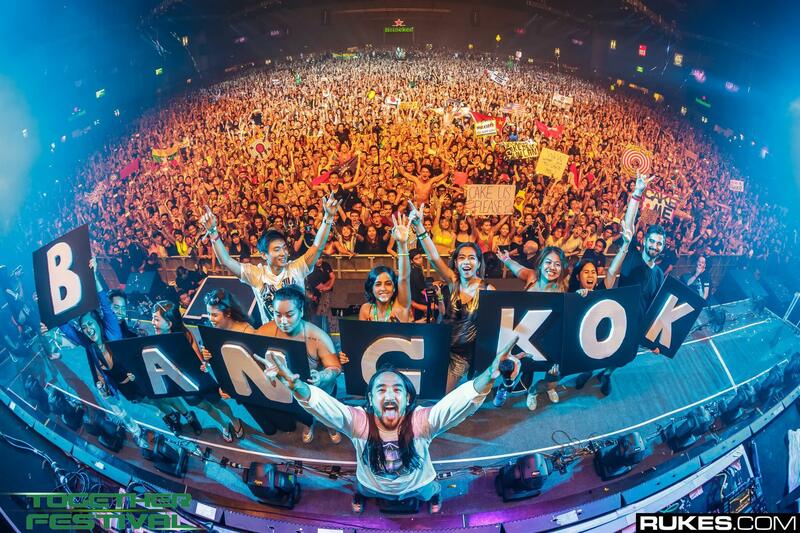 Together Festival 2015 was definitely a weekend worth partying in Bangkok, Thailand. 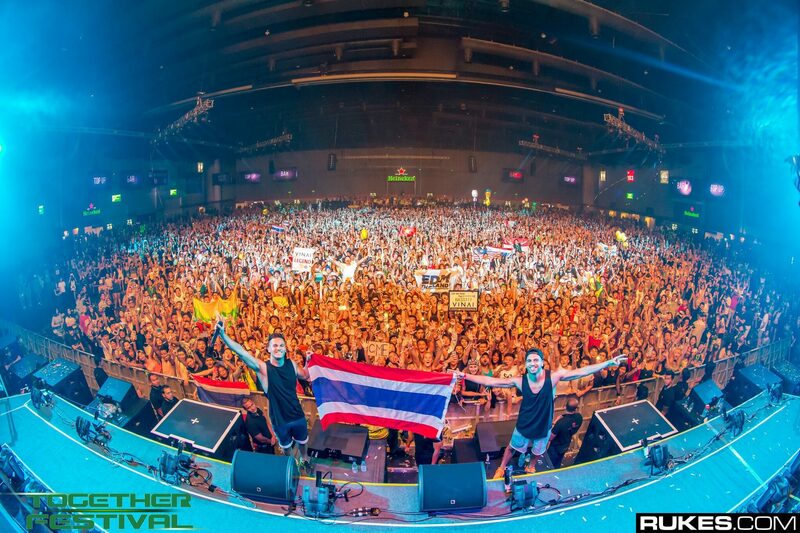 From I AM HARDWELL the world’s No.1 DJ to many more great international acts, we can’t deny that the city of Bangkok got us hooked on more electronic dance music festivals!